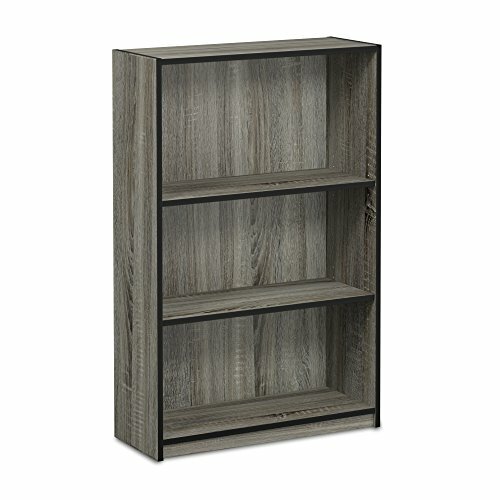 Furinno jaya Series 3 tier shelf bookcase is a great way for storage and display at home and in the office. Shelf heights are adjustable to create your own storage and display spaces for different sizes items. Easy assembly, light weight, yet looks refreshing and space saving. It comes in multiple colors to blend in with your existing home decor. There is no foul smell of chemicals, durable and it is the most stable medium density composite wood used to make RTA furniture. All the products are produced and assembled 100-percent in Malaysia. Care instructions: wipe clean with clean damped cloth. Avoid using harsh chemicals. Pictures are for illustration purpose. All decor items are not included in this offer. If you have any questions about this product by Furinno, contact us by completing and submitting the form below. If you are looking for a specif part number, please include it with your message.